This is the Pokémon Ranger Academy! Are you a newbie? Want to join the ranger school? Lots of fun here! With a chat, forum, and lots of other features! And we are adding things every day! Are you already a member? Log in here then! Pokémon Rangers are always welcome here, no matter if they're new or old! Welcome to Pokémon Ranger Academy! Here, we post on forums and chat about things. This welcome message will be updated when news is released. Go here to introduce yourself, and find information for new members. Pokemon Ranger Academy Series features Numerous Sites. They are listed here. Have a suggestion to make the forum better? Post here, and if it's good we'll do it! Is there something you can't find out? Post here! Staff or members can help you out! If you have a guide to help other members, post it here! Announcements and important information will be posted here. Discussion about Pokémon in general goes here. Everything about the Pokémon video games go here! Everything about Pokémon in the anime goes here. Talk about the Pokémon manga here! 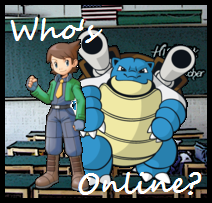 Roleplays related to Pokémon only go here. All roleplays that are not related to Pokémon go here. Spam and other failed topics are to be moved here. Do not post. Forum games and topics without much discussion value goes here. Talk about anything not pertaining to Pokémon. All artwork goes here! Sprites also go here. Feel free to make your journals here! Make or join clubs and clans here!